Sometimes it's the little touches that make a simple recipe something special. An extra splash of a special sauce or fresh herbs sprinkled on top don't just add to the presentation, they lend an important pop of flavor. 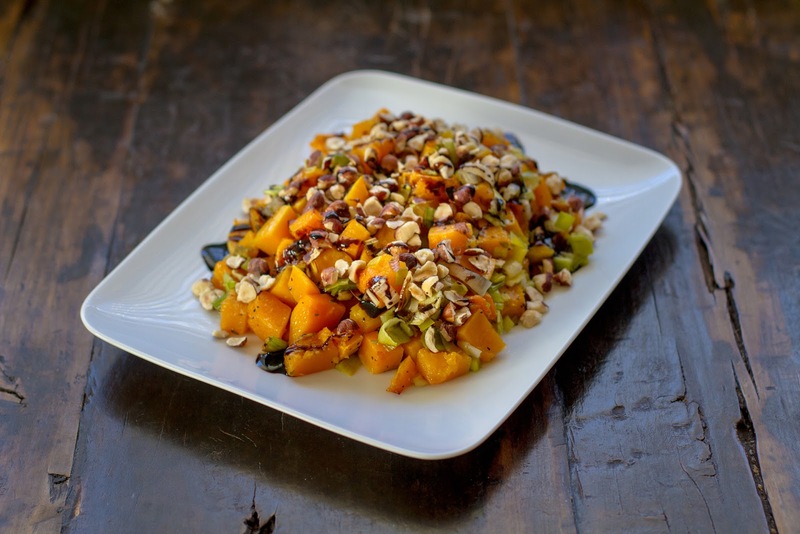 In this case, a last minute hearty drizzle of Ponti Glaze with balsamic vinegar of Modena from this month's Degustabox elevated a basic roasted butternut squash recipe to a dish worthy of appearing at upcoming holiday feasts. When it comes to holiday entertaining of any sort I believe in keeping it simple, but that certainly doesn't mean boring or basic. It's just that instead of being sequestered in the kitchen slaving away, I actually like to enjoy the party with my guests. Crazy, right? 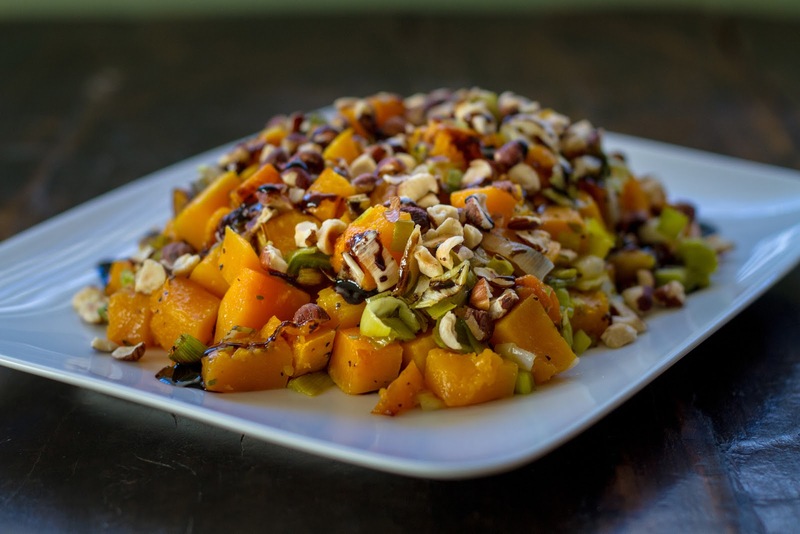 When it comes to side dishes I think roasted winter squashes like butternut are perfect. Other than some prep time peeling and chopping, the oven really does all the work. In about 20 minutes this one is ready to go. And, while this recipe is meant to be a side dish, you could easily enjoy it on a weekday as the main course for two people with a green salad on the side. In a large mixing bowl, combine the diced butternut squash, sliced leeks, dried thyme, olive oil, salt and black pepper. Toss to well combine. Spread out butternut squash mixture onto a large rimmed baking sheet. Roast in the oven for 20 to 25 minutes. Until squash is fork tender. While squash cooks, toast chopped hazelnuts in a dry frying pan over medium heat until lightly golden and fragrant. Set aside. Scoop cooked squash mixture onto a large serving platter or bowl. Top with toasted hazelnuts and drizzle balsamic vinegar over the top. Serve immediately.